Educate taxpayers on SD tax laws and regulations, and addresses their licensing questions and needs. License new businesses and educate them on tax laws pertaining to their business. Collect taxes from delinquent taxpayers using departmental procedures. Be part of a team of Professional, Dependable and Accountable individuals. This position is responsible for acting as the liaison between the public and the South Dakota Division of Motor Vehicles. The telephone service representative will interact with a multitude of people to address inquiries and help resolve problems. 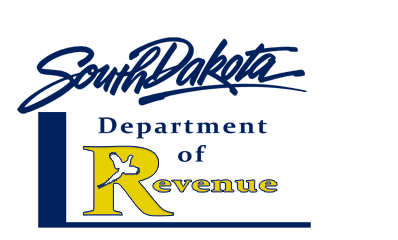 We need customer service skills to assist the citizens and taxpayers of South Dakota. Duties include advising the public, dealers and county staff as to how the laws and procedures apply to their particular circumstances and what processes must be followed to comply with State and Federal statutes relating to vehicle ownership. Extensive knowledge is required relating to administrative rules, policies, procedures and the operation of multiple computer data systems. The nature of the work requires investigative skills, independent judgement and logical decision making. We will train successful applicant on the state law and regulations. Advancement opportunities available within the Division. With the 2015 legislative session now behind us, spring offers the opportunity to travel across th e state of South Dakota and engage with our partners and customers. The Department of Revenue is busy formulating travel plans to offer education seminars, meet with county and local government officials, and work with our tribal government partners. We in the Department find this the most gratifying aspect of our work as we are able to dialogue, exchange ideas, and solve problems. Our spring newsletter is filled with useful and informative information highlighted by the Highway Fund Bill passed by the Legislature, Lottery and Gaming updates, and our spring and summer calendar of events. I hope you enjoy this great time of year in South Dakota and All-the-Best to you and yours! Enhancing our electronic filing capabilities through EPath is something we continue to expand. Now taxpayers have the option to pay by credit card. Establishing a new credit card option to pay your taxes makes it more accessible and convenient for our customers. Check out the rest of the DOR April E-News! We are Dropping our Interest Rates! The Department of Revenue has added some new features to our EPath system. You will now receive an automatic email confirmation for any return or payment submitted. Anytime you submit a return or payment, an email with your confirmation number will automatically be sent. If you are not getting your email, please make sure your email address is up to date in EPath. From the Main Menu, choose “Change Profile” and then “Email Reminder” from the left navigation. From there you can update your Account Email address. If your email is indeed up to date but you did not receive your confirmation number, then you may want to verify emails from epath@state.sd.us are not in your spam folder. You are also now able to print a copy of your License Card from the Main Menu if you need it.